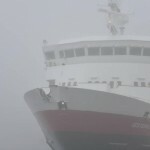 The 15 meter long fishing vessel Coral Strand went aground in the fog off Garrylough, Ireland. The wooden hull vessel had struck the rocks and quickly filled with water. The crew sent out a distress call before the four men abandoned ship into the liferaft. 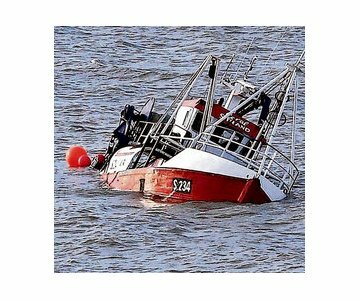 The crew of the Coral Strand were rescued a short time later by the trawler Boy River. No injuries were reported. The RNLI lifeboat from Dunmore East arrived on scene and transferred the Coral Strand crew off the Boy River. The lifeboat assessed the Coral Strand’s status and determined the vessel had sustained too much damage to attempt to pump-out and refloat the vessel. The Irish Coastguard reported later that the salvage was not possible and the Coral Strand was left to breakup on the rocks. Some pollution and debris would be released in the area. 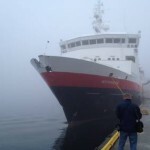 The 108 meter long, 900 dwt passenger ferry Vesteralen allided with the pier at Bergen, Norway. 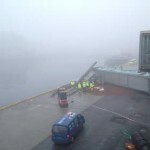 The ferry was approaching the pier at high speed when the it lost power. 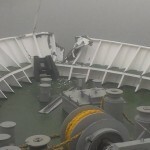 Unable to slow down, the bow struck the quay resulting in an one meter gash in the hull. 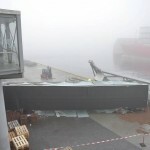 The gangway sustained damage releasing some 3,000 litres of hydraulic oil released into the sea. No reports of injuries to the 84 passengers and 41 crew on board. The local fire brigade deployed containment booms. Reports state visibility was poor due to the thick fog in the area.